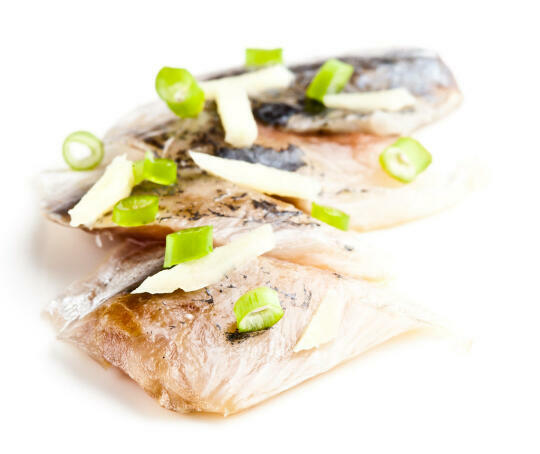 Mackerel with Ginger & Green Onion, our giveaway winner, & we’re having a sale! Congratulations to Lara! 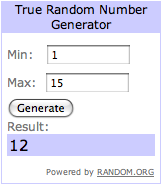 She was the winner of the sushi earrings. In other news, we’re having a sale! From now until the end of the year, buy at least $40 worth of products from our Sushi Day store, and get $20 off. Our Sushi Day shirts are super-soft, way comfortable, and the perfect gift for every sushi lover in your life. Our Sushi Kits are great for anyone who wants to learn how to roll sushi at home, especially with New Year’s Day (a day where we eat tons of sushi!) coming up. All you have to do is add $40 or more worth of Sushi Day stuff to your cart, then use the coupon code sushiholidays at checkout to get $20 off! Mackerel. It’s a fishy fish. It’s a silvery fish. It’s a very sustainable fish. Now, not everybody likes the fishier tasting fish. Believe me, I know. I used to be one of them. But if you’re just starting to try the fishier fish, mackerel’s a good, mild one to try. As simple and almost boring as it seems to eat mackerel with nothing more than ginger and scallions, it’s actually an excellent combination. The ginger cuts through the fishiness without being overwhelming, and the green onion lightens up the dish. For someone who never much liked fishy fish… I really enjoyed this. Peel the ginger, then chop into short, thin sticks. 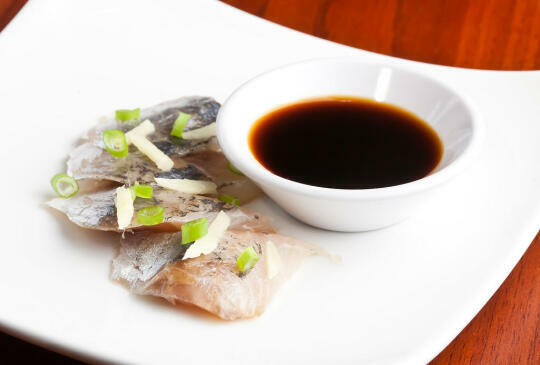 Sprinkle the ginger and green onion over the mackerel, and serve with shoyu. It wasn’t there. 🙁 Please resend. If it’s still not there by Wed, I can email you my snail mail addy directly.